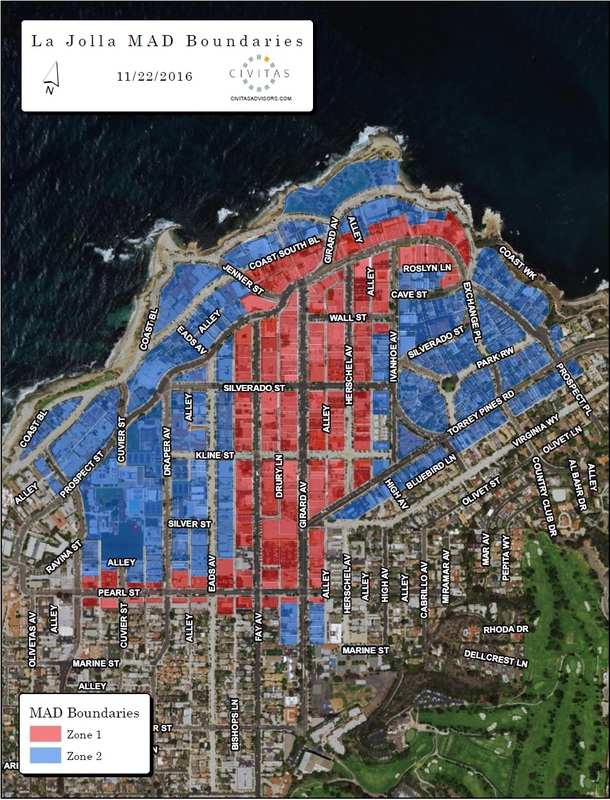 The Maintenance Assessment District for the Village of La Jolla includes residential, commercial, public, and non-profit properties. Property owners will pay an annual assessment through their property taxes, with the funds being dedicated exclusively to providing landscape and maintenance services that will benefit the Village. The services and improvements that will be funded by the MAD will be developed to best fit the needs of La Jolla property owners. © 2015 The La Jolla Community Foundation. All Rights Reserved.